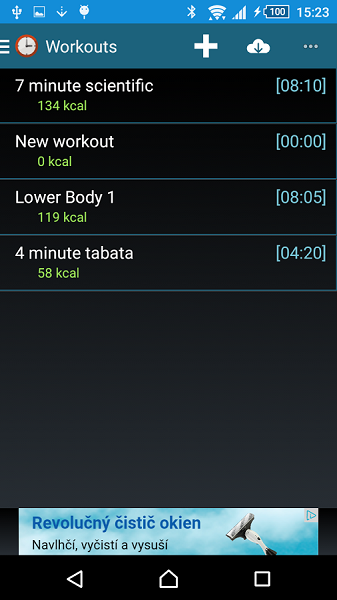 There are lot HIIT or Tabata trainer apps available in Google Play Store. All promises some output or customized for concentrating on certain workouts. But nothing offers customization i.e. creation of user-defined routines. But now we have Interval Timer: HIIT & Tabata from halmi.sk. This Android app is available as Ad-supported free version and paid Ad-free version. If you are looking to replace your previous interval trainer app, now is a good time to it. The Interval Timer: HIIT & Tabata not only let you create your own routines, but also let you upload or download routines defined by other users of the app. You can start by looking at the samples provided in the Interval Timer: HIIT & Tabata app. After some understanding you can create you own routines. Be sure that you know the concept of interval training before creating. 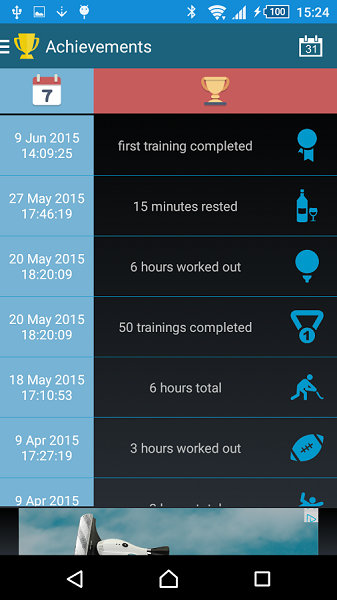 You can create variety of workouts suitable for boxing, running, cycling, sprint, weightlifting etc. Be sure that you add proper intervals between workouts. 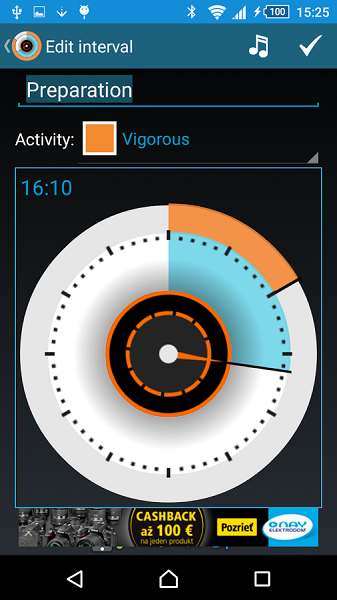 What’s more, you can even set your own sounds and/or vibrations for each interval. If you made a mistake in positioning the workouts, you can simple drag them for re-ordering. Just hold the workout a little bit of time and drag it to its new position. Simple, right? The Interval Timer: HIIT & Tabata app can even creates log of your workouts. This help you to evaluate yourself to improve. You can even export your logs to CSV format to view it in your computer or any other apps. The Interval Timer: HIIT & Tabata also supports calculation of calories you have burnt on your workouts based on Metabolic Equivalent of Task (MET) for each interval. It is calculated based on your weight, so be sure that you have set your weight in the app. Also remember to change it when your weight changes. Nothing motivates like a competition. Competitions are moral booster. The developer created a leaderboard for that. You can share your results and achievements in the leaderboard and share it with your friends. This encourages not only you, but your friends too. They too start exercising and live a healthy life. Just because Interval Timer: HIIT & Tabata is a training app, it is not left with boring design. It has clean interface with attractive colors. Give the app a shot and it will stay on your smartphone for life.